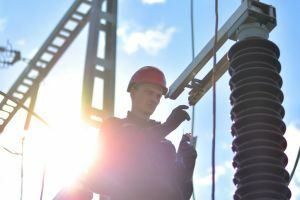 From generation to transmission to distribution and retail, the New Zealand electricity sector can be broadly broken down into four interconnected categories, all of which combine to keep power supply flowing to households and businesses around the country. 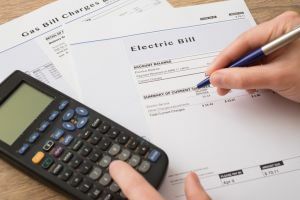 Of course, a range of factors influence supply and demand, and consumers keen on gaining an understanding of how costs are arrived at would do well to consider their power bill in the context of both retailer offerings and at a broader market level. Generation (30.5 per cent) – the cost of generating the electricity you use. Transmission (9.9 per cent) – the cost of building and maintaining the national grid. Distribution (26.2 per cent) – the cost of building and maintaining power lines. Retail (16.2 per cent) – the operating costs of the retailer. The remaining costs are made up by GST (13 per cent), metering (3.4 per cent), and market governance and market services (each 0.4 per cent). From start to finish, from generation through to retail, when it comes to supplying your house with electricity, keeping the lights on and your appliances running, what exactly does the process involve? New Zealand’s electricity generation derives from a variety of sources, from renewable sources such as hydro and wind, to fossil fuels such as coal and gas, with renewable sources making up the majority of generation. The Ministry of Business, Innovation and Employment (MBIE) advises in its Energy in New Zealand 2017 report that in 2016 renewable electricity generation rose to a 35-year high of 85 per cent. Meridian Energy (35 per cent). Contact Energy (21 per cent). Other generators (9 per cent). When it comes to generation, it is also notable that residential renewable generation has been on the rise in recent years. Towards the end of last year, the Electricity Authority advised that more than 15,000 homes are generating their own electricity across the country, with almost 3,300 home-owners having installed solar panels over the course of the year, up more than 10 per cent year-on-year. This comes in the context of the continued development of residential battery storage technology, and the emergence of new market models, such as virtual power plants and peer-to-peer electricity trading. State-owned Transpower is the owner and operator of the national grid, which it describes as “the high-voltage transmission network connecting areas of generation with towns and cities across New Zealand”. Transpower advises that the national grid is made up of over 12,000 km of transmission lines, with more than 170 substations, with electricity transmitted at high voltages of up to 220,000 volts from power stations to local lines companies and major industries. It’s important to note that Transpower does not generate, own or sell the electricity, with its role being to build, operate and maintain the grid, which it describes as being “essentially a transport system”. 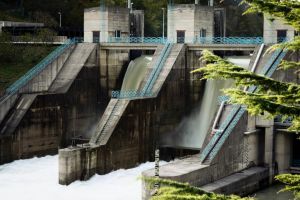 “Most of New Zealand’s electricity is generated from renewable energy sources (hydro and increasingly wind) that exist in remote areas, a long way from where the majority of people actually live,” Transpower states. The Electricity Authority advises that Transpower is responsible for working with it in ensuring the national grid meets the required levels of reliability and service. 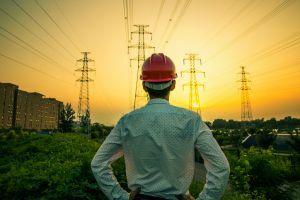 “Transpower is also responsible for grid planning, including proposing transmission investments to the Commerce Commission, and reporting on asset management plans and forecast grid capabilities over time,” the Electricity Authority states of Transpower’s duties. From transmission to distribution, electricity distributors (or lines companies) transport electricity from the national grid to consumers around the country. As advised by the MBIE, connected to the national grid, most lines companies “sell their services to electricity retailers who provide a bundled service to consumers”. The Electricity Authority advises in its 2016 Electricity in New Zealand report that electricity is transported to consumers via overhead wires and underground cables within 39 networks, which are largely owned by 29 distribution companies. “Distributors provide and maintain the power lines used to transfer electricity from the national transmission grid to homes and businesses across New Zealand,” the Electricity Authority states. Making the distinction between transmission and distribution, the Electricity Authority observes that distribution could be compared “to the roads in a neighbourhood”, while transmission could be compared “to a highway between two cities”. Retailers represent the final stage in delivering electricity to consumers. The number of retailers in New Zealand has been growing in recent years, with consumers in turn being presented with an increasing range of options. The Electricity Authority advises in its 2016/17 Annual Report that as at June 30, 2017, 29 parent companies were operating in New Zealand (up from 22 year-on-year), collectively operating 40 retail brands, with five new retailers having entered the market in the 2016/17 financial year. Of course, it will depend upon what part of New Zealand you are in as to which retailers are available to choose from and what sort of deals are on offer. Time-of-use tariffs – charged at varying rates based on when electricity is consumed. Spot price tariffs – charged at the real-time market price of electricity. Prepaid – via which consumers pay for their electricity upfront. 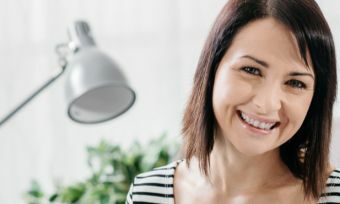 Retailers may incorporate discounts into their plans, and may bundle electricity with other services, such as gas or broadband internet, and it is certainly worthwhile shopping around in determining which retailer offer best matches your needs. For consumers interested in solar or battery technology, it is necessary to consider both the short-term costs and potential long-term rewards in determining what sort of value either or both of these technologies would deliver to your household, while also assessing related retailer offerings.